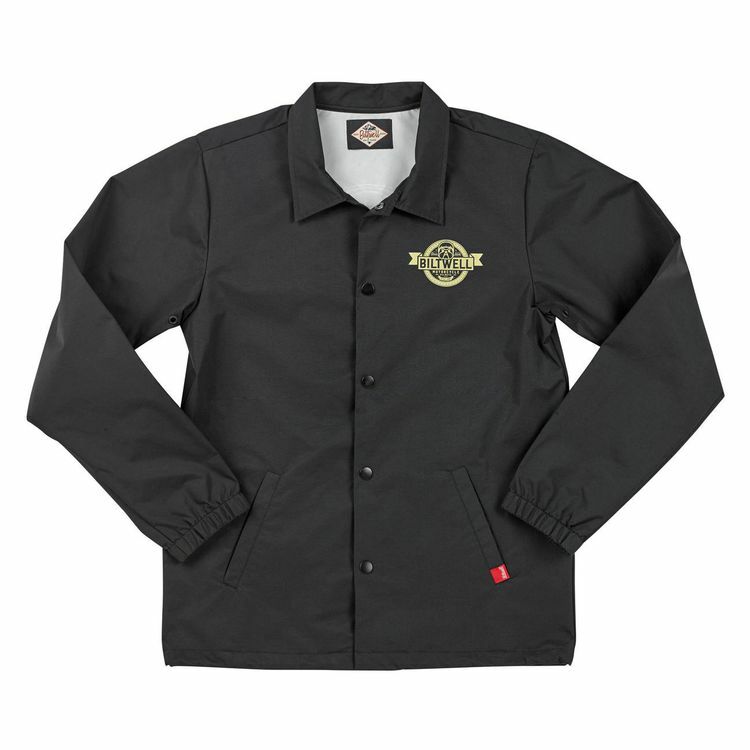 This Windbreaker has waterproof nylon fabric with snap front closure. The nylon fabric is 100% waterproof... however, we have to call this jacket “Water Resistant” because the seams are not waterproof, and features a snap front closure. If you expect this unit to keep you dry whilst riding the wild thunder in a downpour of rain, yer delugional.